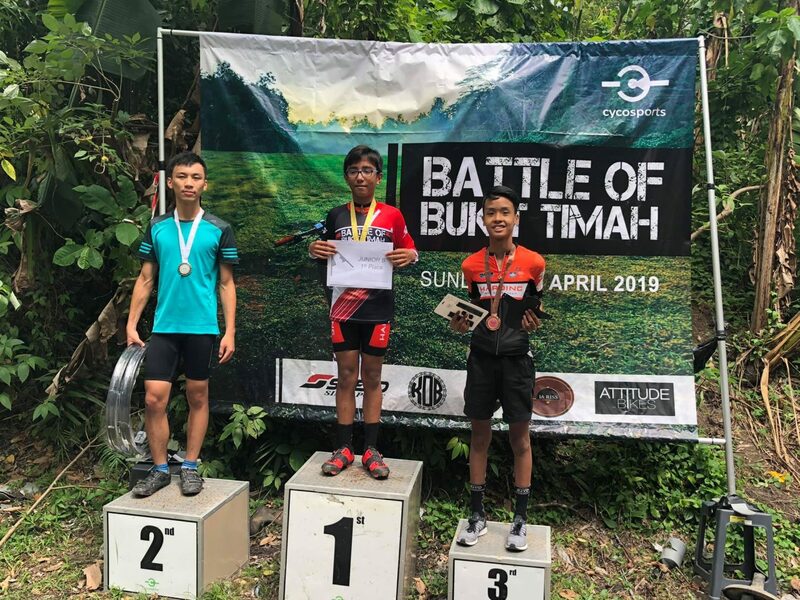 14 April 2019 – More than 250 racers, supporters and volunteers gathered on Sunday morning at one of Singapore’s favourite local mountain biking playgrounds for the Battle of Bukit Timah. We were very excited to be present at the event to participate and soak in the atmosphere. It has been an agonising 9-year-long wait for this race to return. 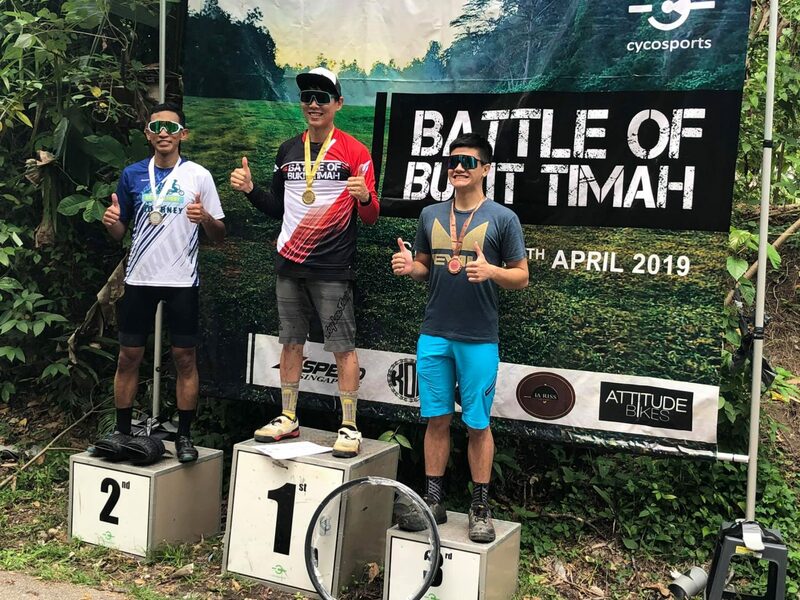 According to the Cycosports Team, Battle of Bukit Timah was the first race in many years, because it was very challenging to get approvals, and it required a lot of effort to deliver this course. Crowds gathered on an early Sunday morning just to cheer the participants on and the atmosphere was overwhelming. It was a happy event filled with cheers and smiling faces, despite the heat and showers at some points. 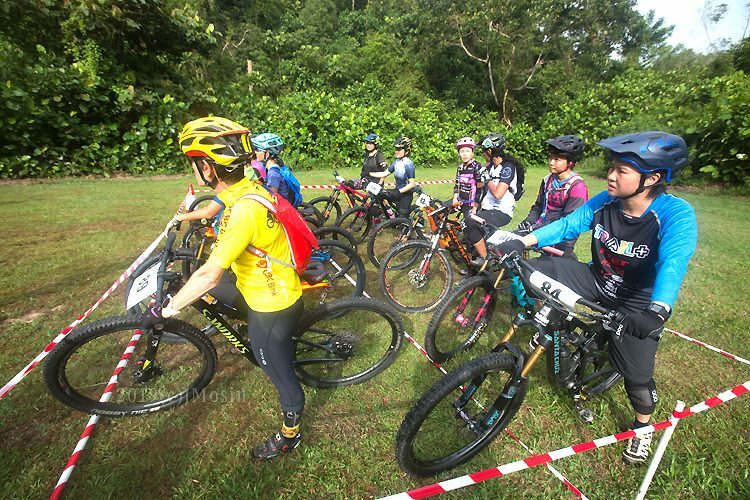 We saw mountain biking friends that came together to be marshals and the largest turn out of female participants. 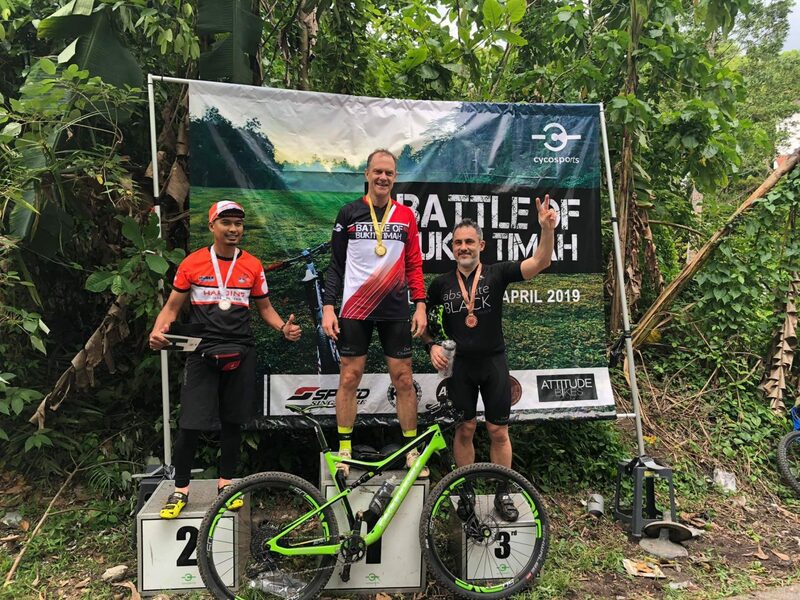 Here are some of the highlights from the race and a lowdown on the winners. They could have enjoyed a lie in on a Sunday morning and didn’t have to endure the irritating mosquito bites in the forest. 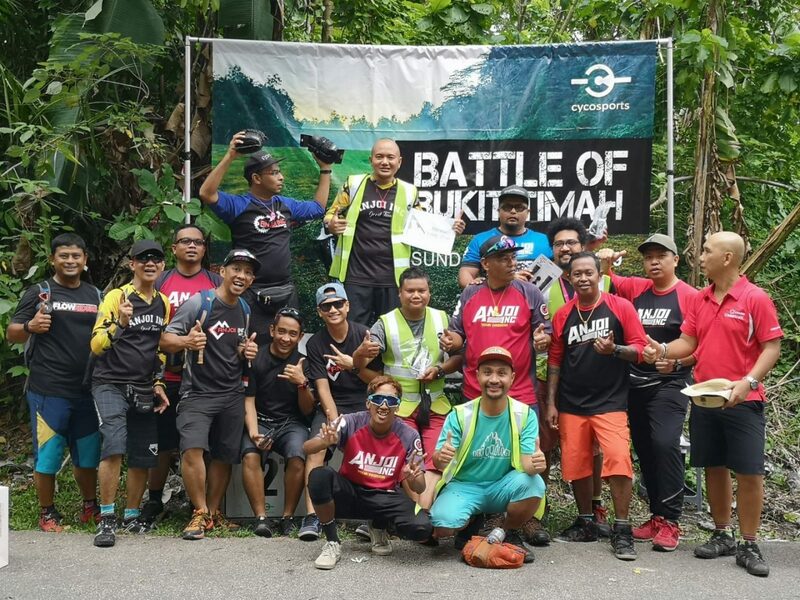 But these men made the decision that they wanted to give back to the mountain bike community. Respect to you guys! 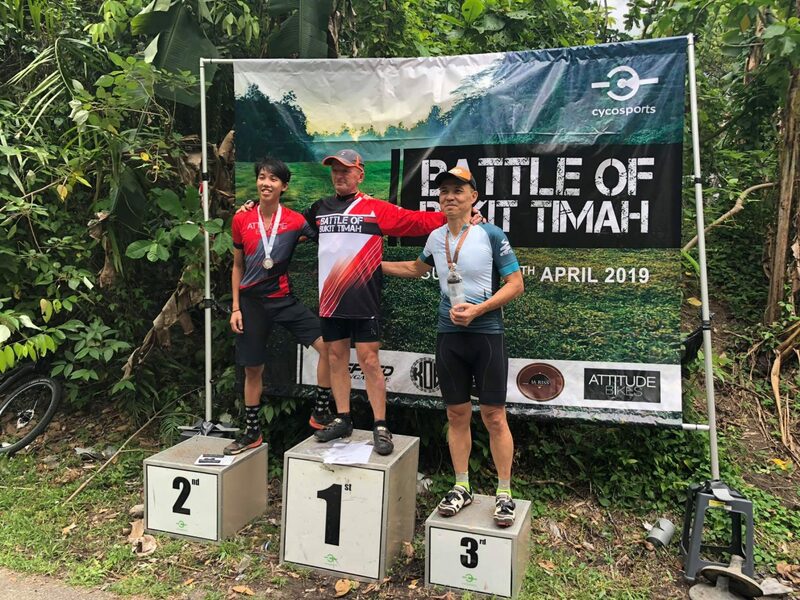 Thank you for volunteering, and we hope that this inspires other riders to do the same. 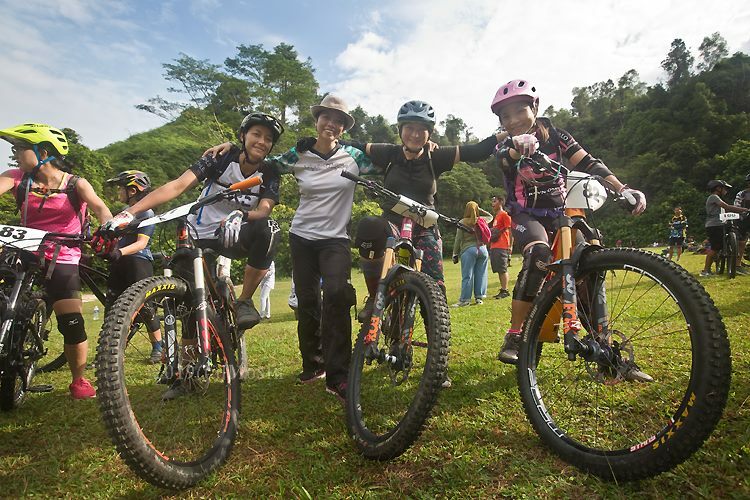 In a male-dominated sport, mountain biking has been seen as dangerous and rowdy. But these women can tell you otherwise. 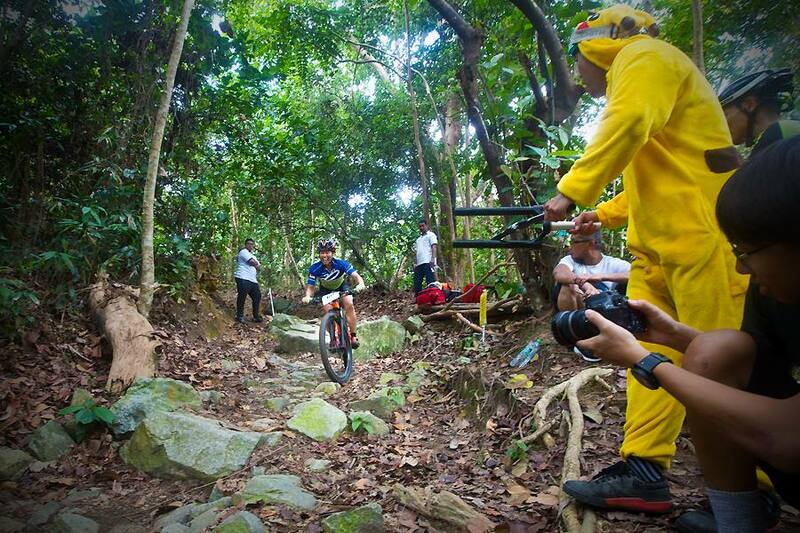 In fact, mountain biking is a sport that is fun and non-gender-discrimatory. 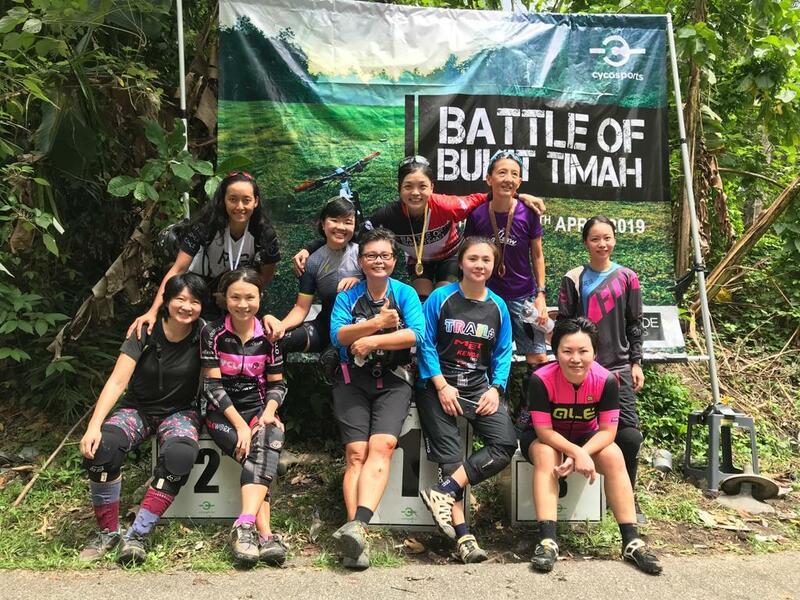 A total of 12 women took part in the event: 8 in All-Mountain’s category (bikes with more than 130mm travel) and 4 in the Women’s Elite category. 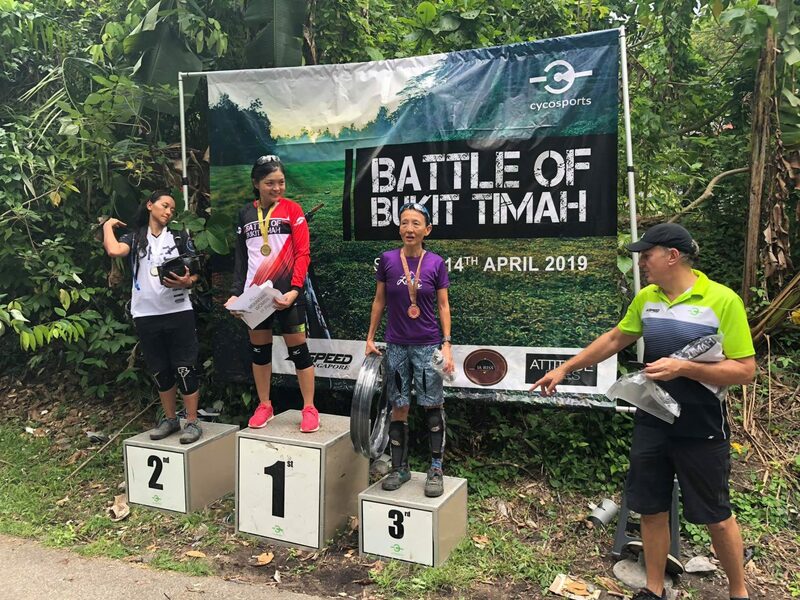 Finally, Tsalina Phang did not have to race alone. 3. 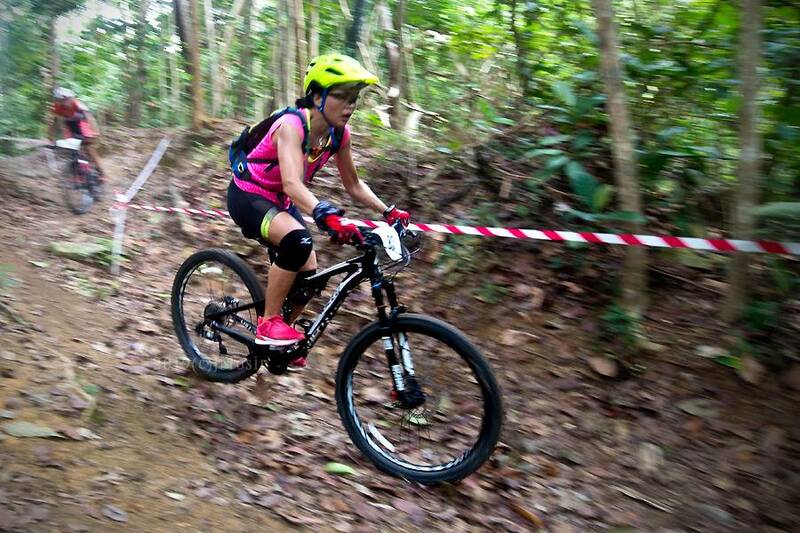 Anna Lee dominated the Women’s All-Mountain category in her first ever race. A familiar face on the road, Anna came from a road cycling background and started her mountain biking adventure just 6 months ago. 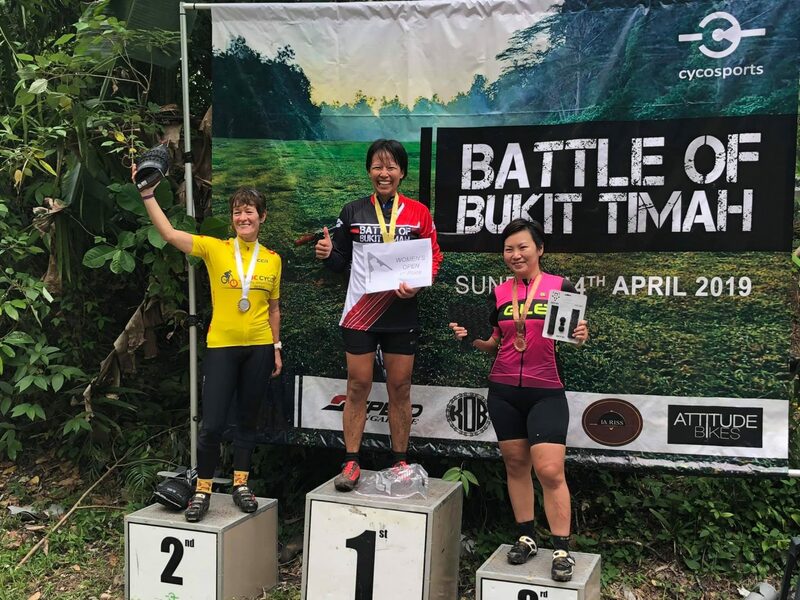 She joined the race 5 days prior and managed to clinch the podium with an Aluminium bike on 26″ wheels. 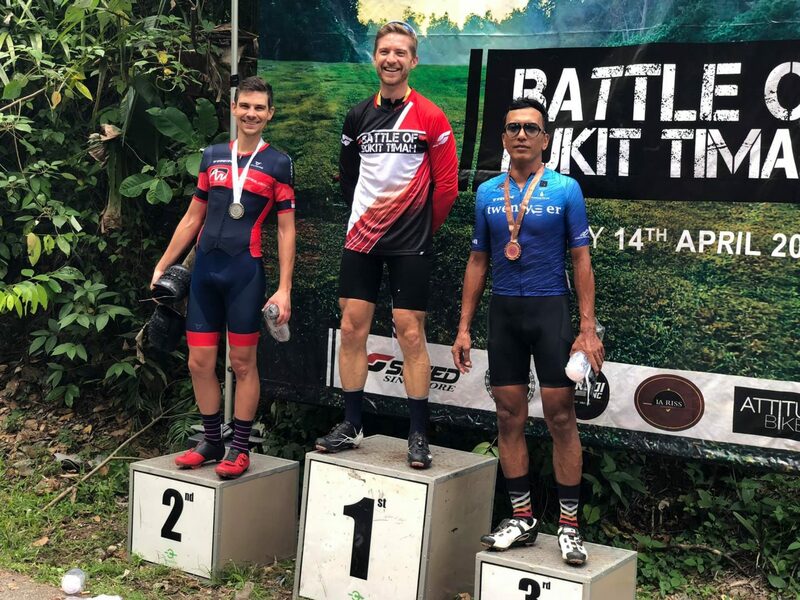 Here are the winners of Battle of Bukit Timah. 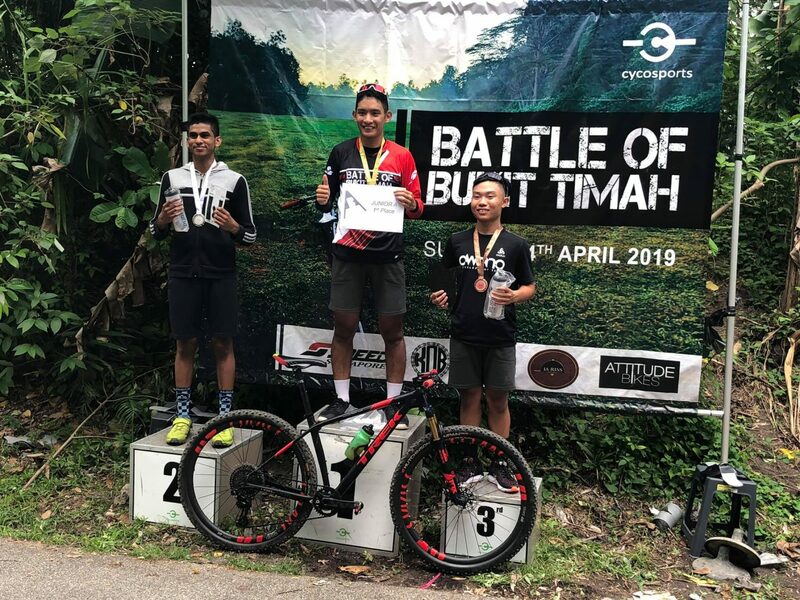 For the full results list, click here. The entire event was a success. 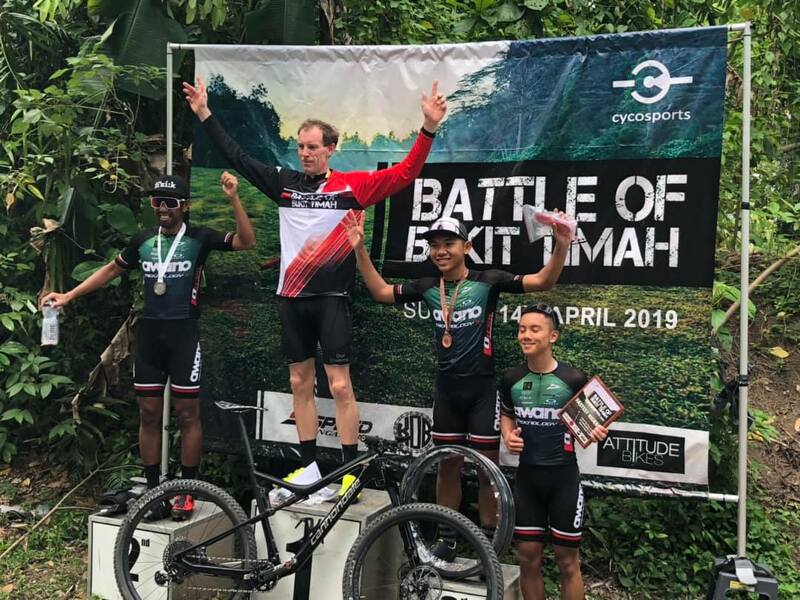 Thanks to the combined efforts of the Cycosports organisers and volunteers, SCF Commissaires and Anjoi Inc marshals, the race was carried out smoothly. Race routes were marked clearly, and the enthusiastic race marshals did their job in making sure that no hikers sneaked into the trails. 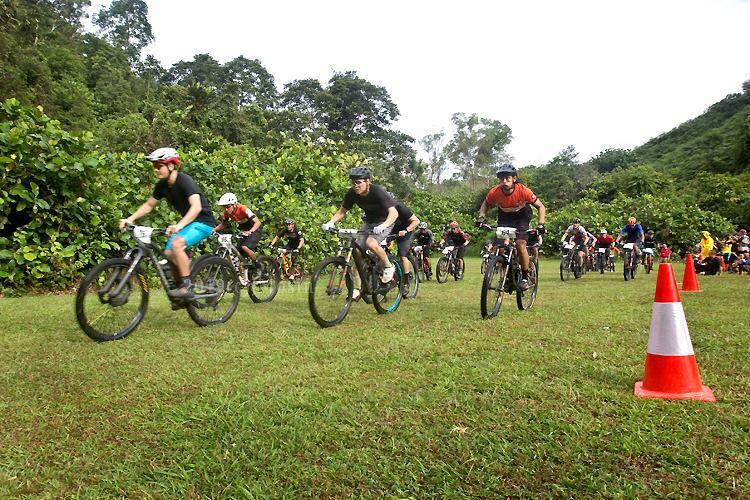 It was amazing to see the mountain biking community come together to race and cheer on one another. We look forward to more events like this in future.